This week I have been challenged by a range of theories and practices of childhood and Philosophy and to the call to bring an ‘epistemological shudder‘ to the thinking of those of us who work with children. I have observed two different styles of philosophic inquiry with children – one a dedicated session with a skilled philosophy practitioner, the other an integrated lesson conducted by the existing teacher with some P4C training. I have discussed at length what the best practice for the implementation of this program to young children could be and will continue this discussion with Lizzy Lewis at SAPERE in Oxford next week. I read the oppositional argument to the ‘uncritical’ acceptance of the developmental model of child development and the impact of this has on teachers and teacher/child relationships. There is a strongly held view within the P4C community (Karin Murris, David Kennedy, Sara Stanley, Joanna Haynes and Sue Lyle to name a few) that the child is a ‘being‘ rather than ‘becoming‘, a full human being rather than on a developmental trajectory towards adulthood and evidence that the latter limits the uptake of P4C in schools. But I have been presented with convincing arguments on how the introduction of P4C into teacher training can be an effective tool to bring change to this binary conception of adult/child and ultimately to classroom practice. How we do this will be the purpose of my visit to Oxford next week. I have much more to read and much more to think about. What an inspiring day. 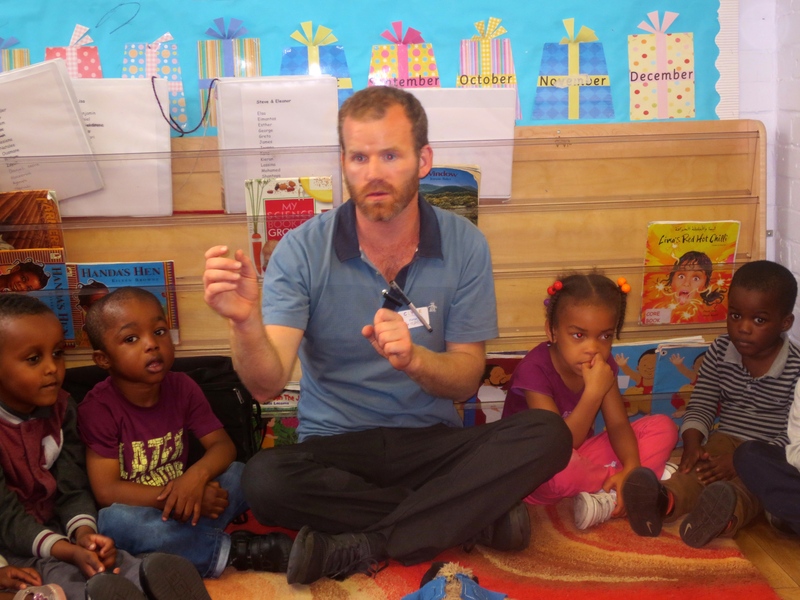 I observed Steve Hoggins, a philosopher and teacher with specialist training in Primary, Nursery and ESL facilitate three philosophy sessions with three and four year olds. Steve works with The Philosophy Foundation (http://www.philosophy-foundation.org) a not-for-profit organisation that trains and delivers philosophy programs into schools. Steve is engaged by the Clyde Early Learning Centre in London to deliver three philosophy sessions (one hour per week) for 39 weeks to children in the centre. The centre has approximately a hundred children from diverse multicultural backgrounds with the majority of children from homes where English is not the first language. What I saw was impressive. As we entered the centre, little people rushed over to high-five him. ‘Steve are we going to have Philosophy today?‘ He delivered the three 20-minute sessions in small rooms away from the general hubbub. The classes are voluntary: one class had 7 girls and one boy, another around the same with 22 attending the final class. It is worth describing the lessons to show the range and scope of what was done with 3-4 year olds. Steve introduced four identical pencils and after a short game establishing procedures for discussion, he built a Pen Man using a ball for a head, a plastic lunch box for the body and the four pencils for the arms and legs. He used a Paddington Bear soft toy for the children to ask questions and often the child answered the question for PB as well. Steve: Ask Paddington Bear who is this? Child: Paddington Bear who is this? He said it was a person. Steve: Does someone else want to ask Paddington Bear a question? This went on in a democratic way and then Steve separated elements of the body and the children discussed a variety of propositions. Steve: (legs removed) Is it still the Pen Man if he has no legs? Steve: (head separated from the body) Where is the Pen Man now? Steve: If you have one leg (or one arm, or no head) are you still a Pen Man? In this lesson Steve read The Three Robbers and the children discussed if the robbers were good or bad. Steve then began improvising further on the story using two children as robbers and the remainder of the class making suggestions on what the robbers (children0 had stolen – my trousers, my shoes, my socks etc., my money? Was the robber who took the money bad? What about the one who took your trousers? Steve improvised a story of two bears who went on a picnic. The children added to the story about what they might put in the Bear’s picnic basket. The story continued until Steve pulled a cake (a round card) from the bears picnic basket. Steve: The bears have decided it’s time to have the cake but there is only one cake. What can we do? One girl decided that they should cut it up – and cut it into three uneven pieces. She gave one to the first bear and one to the other. The children were concerned that this didn’t seem okay. Steve: How can we fix this up? Can we make it okay? After a number of tries, they proposed that they could give it to the Hungry Penguin who was obviously a regularly character, and they then proceeded again to sort out the best way to divide the three unequal pieces. The children were highly engaged in all sessions even in this hot humid room. There were many elements to the success. One was certainly Steve who had teaching techniques that I had never seen before. He used simple hand/eye movements to give instructions or deal with distractions. He had a very clear set of procedures about listening to each other. He acknowledged every contribution with a thank you (rather than the evaluative response that’s a good idea). He had a very clear idea about the purpose of the lesson. His questioning was highly inclusive but offered choice – ‘Do you want to change something or tell us more’? The children called him Steve and he totally engaged with the children using a gentle modulated and sometimes singing voice when speaking. After the sessions, I was invited back to the Worley’s home for a work dinner. Pete, Emma, Steve and I went long into the night talking about Philosophy and young children. An unexpectedly rich experience. Oh I must mention Katie Worley (4) was there too. 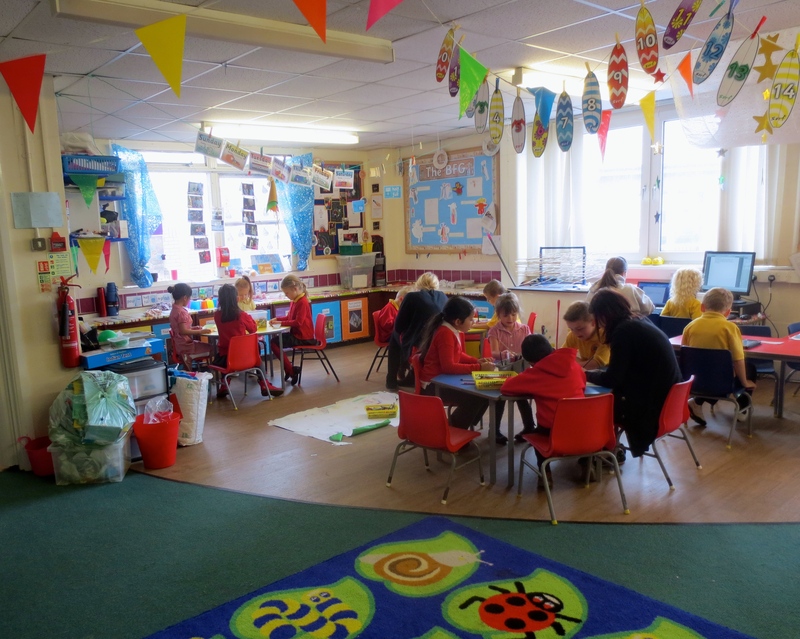 Louisa Munro-Morris, a recently appointed Principal to Landsdowne Primary School in Cardiff is implementing a strategy for radically reforming the Foundation Stage. This included a pirate ship being the location of the Numeracy program. 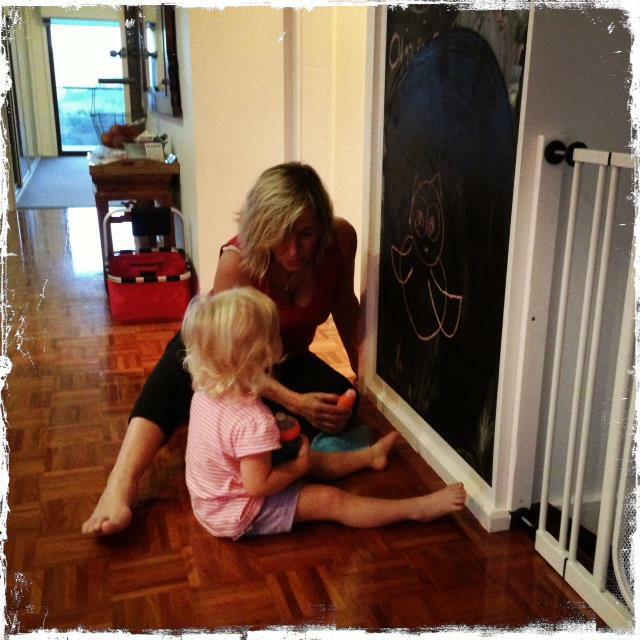 Louisa is a trained Philosophy teacher and currently completing her PHD on Philosophy and Children. She is keen to embed Philosophy throughout the school and all teachers in the Foundation Stage have completed a two day SAPERE training course in Philosophy with Children. She has engaged mentors to regularly visit the school to observe and support the teachers as they move away from a prescriptive program to the Story Telling Curriculum. 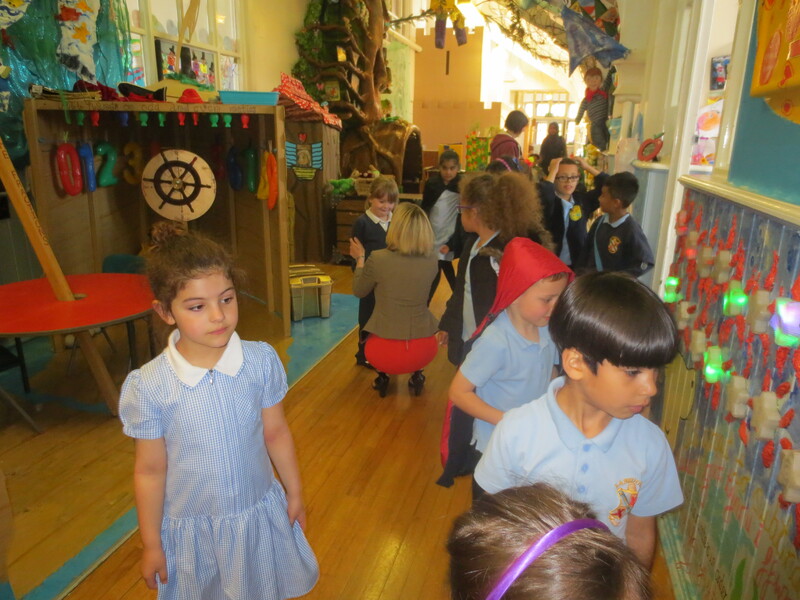 The seven classes within the Foundation stage work closely together to support each other in this new curriculum. 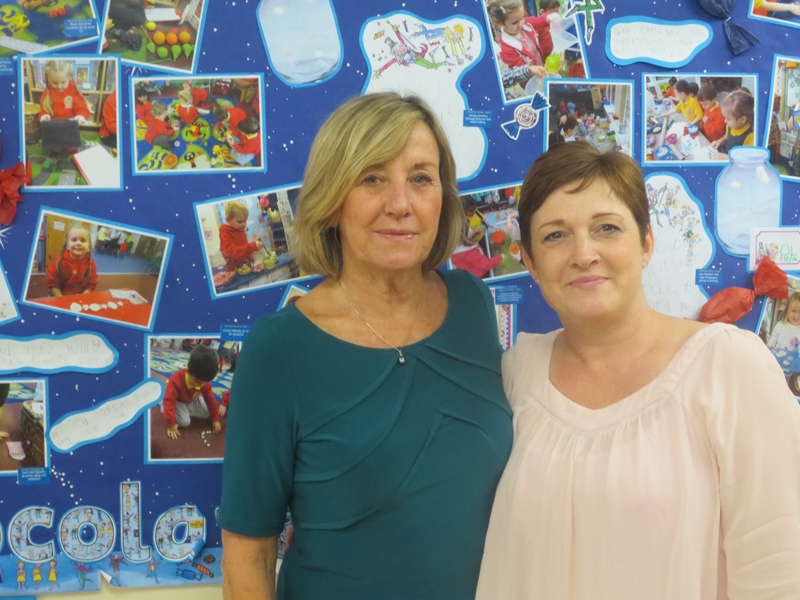 Louisa and Kathy, the head of the Foundation Stage, were very open about the problems they have and do encounter trying to change direction and particularly the resistance from the traditional teachers to the changes to what is already in place. I have consistently observed that change and innovation starts at the top: visionary leaders supporting those teachers who take the challenge to change and working around those teachers who may never be open to change. With great pride I was taken to the Pirate Ship. Here in the corridors where once coats and bags were hung was a shared Numeracy centre was built ‘out of bits and pieces’. Here amongst the anchors, ladders, ship lockers and treasure chests lay the Maths Centre which served all seven Foundation classes. No longer do teachers have to pack and unpack resources as they are stowed in ‘treasure chests’ awaiting the next band of pirates. Bags of gold have replaced counters, kitchen scales show the tilt of the keel, treasure maps showed the coordinates for the dig, places to weigh and measure fish, a ship’s bell for recording time to complete tasks and an innovative octopus for calculation and pattern matching. Individual class teachers continue to discover new ways to use the ship to explore mathematical concepts within this shared location. This ‘built from bits and pieces’ project firmly places Maths within the real world. 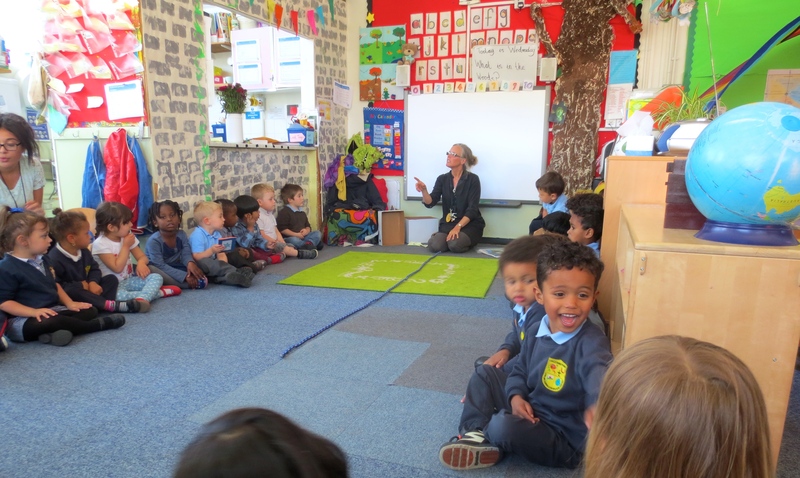 I observed a philosophy lesson in the Nursery Class. The teacher presented a lesson on classifications – a useful philosophic tool – giving the children images of cities and country to place within the two defined categories that were separated by a rope. I noted the difficulty the teacher had in giving all children a voice, the difficulty of engaging the whole class in the activity and the difficulty of converting and extending the preliminary activity into a critical inquiry. This was a valuable experience making me reflect on what elements of the Philosophy program would be most valuable in difficult environments particularly where many children do not have English as a first language and and how best to support teachers who want to change from an adult–directed style of interacting with children to a more collaborative environment. I have an abundance of food for thought and I look forward to a few days off this coming weekend to reflect more on what I have seen. Off to London tomorrow. 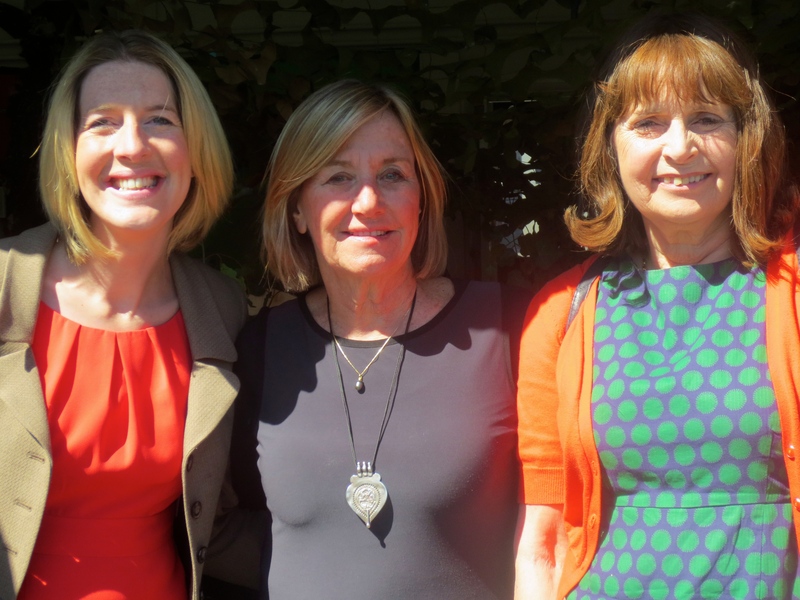 Four years ago when Anna Bolt was appointed Principal of Glyncollen Primary School in Swansea, she asked her staff to abandon the formal literacy program and adopt the Story Telling Curriculum (STC) instead. As a pilot she focused on the Foundation Stage, which includes the Nursery School (3 to 4 years) Reception, Year One and Year Two. This was radical thinking and planning. It challenged officially sanctioned ways of promoting literacy. It questioned the assumptions made about how children learn to be literate. It disrupted the views of ‘good practice’ and ‘what works’. The approach is led by the theory that narrative understanding is the primary meaning-making tool. It reinforces that children from 3-7 are highly imaginative. As an example of the theory into practice, young children tell their stories to an adult who scribes them. These stories are then read back to the children then become part of the class reading, drama and philosophy stimuli for discussion. In all classrooms, teachers leave motivational triggers for children to explore. The morning I visited the Reception class, the children had found a letter from the Queen asking for help to find her crown. In the captured moment below, some children were writing letters to the Queen on Ipads, others were creating possible scenarios on how the heist happened and others were redesigning another crown. In this Reception class the class were using The BFG by Roald Dahl as the year long novel. 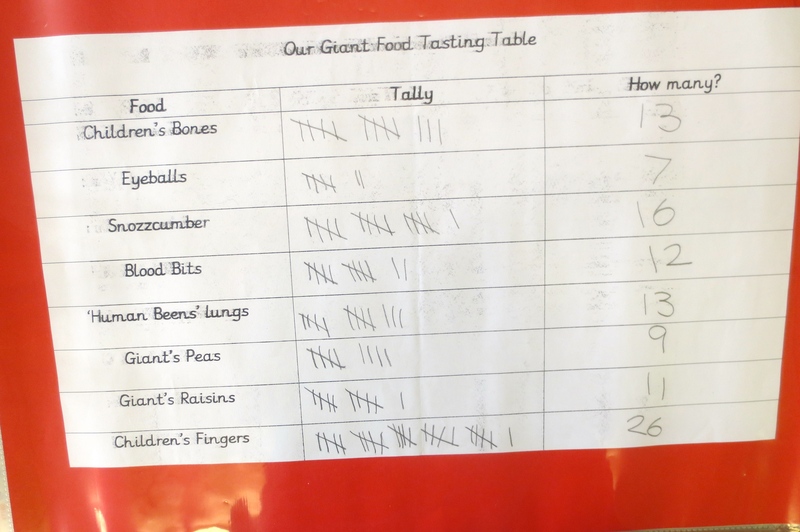 I observed how all aspects of the learning curriculum stemmed from the novel like ‘Who is the class giant?’ (measurement), tallying the giant’s tasting table (numeracy), ‘describe the BFG’ (literacy), writing letters on Ipads, creating menus for the BFG, writing stories, drama and of philosophic discussions the emerged from the story. This week the discussion question was ‘are Queens and Princesses always good?’ Children are responsible for their own progress which has led to a change in classroom structure. Children work on tasks and the teacher and two aides (yes a teacher and 2 aides for 30 children) move between groups to support the the learning. Teachers programs in Foundations Stage are written after the event demonstrating what and how the teacher has covered rather than the traditional way of planning what will be taught and directing the learning to prescribed outcomes. I talked at length with Sian, the Year Two teacher who had based her year program around James and the Giant Peach and I was able to retrospectively read through her program. Sian had built not only her Literacy program on the novel but also her entire program including Science, Mathematics, and Personal Development. Dr. Sue Lyle had undertaken action research with Sian and in brief they noted that standards had risen dramatically and the biggest impact had been on reading and writing. My initial thinking is that Story Telling Curriculum could be an effective planning tool in Preschool and Kindergarten classes in Australia. However, I am still trying to get my head around how the dictated outcomes of the curriculum are achieved without any explicit teaching. Reference: The Impact of the Storytelling Curriculum on Literacy Development for Children Aged Six to Seven and their Teachers, Sue Lyle & Anna Bolt, University of Wales. I awoke bubbling with questions after spending last night reading the recent research Dr. Sue Lyle had undertaken on the impact of Philosophy for Children (P4C) on children, teachers and schools. My interest in this paper was that it underpins the purpose of my scholarship: to examine the impact of P4C practice in the early years (particularly years 3-6) and to find a baseline when proposing effective professional development for educators in the early childhood sector. Sue is a P4C teacher educator and former Head of Continuing Professional Development at the Swansea Metropolitan University’s School of Education. The focus of her research and training is with P4C, the Storytelling Curriculum and action research with a particular focus on how young children make meaning through talk. Power and Authority: the reluctance of teachers to surrender their role as authority figures. The Perception of the Child: the view that children were not capable of engaging in inquiry or abstract concepts and the uncritical acceptance of development psychology theories as a measure of a child’s capabilities. The Model of Childhood: children seen as ‘innocent, untamed, blank slate or developing’ and the impact these models have on teachers’ attitudes. Sue’s paper proposes pathways to promote a paradigm shift in teacher understanding of children. These include a critical look at the ‘privileged’ role of the teacher, revisiting the relationship between teacher/child, child/teacher and child/child in the learning environment, disrupting the historical models of childhood and deconstructing developmental psychology. 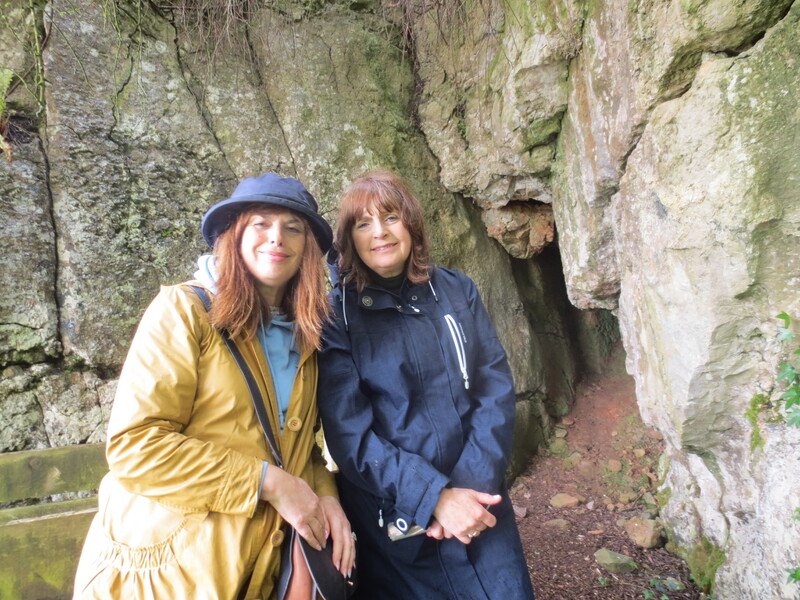 True to Sue’s belief in ‘making meaning through talk’ we walked and talked during our five hour walk from forest to sea with Dr. Julia Harper a colleague and expert in restorative justice. Over the next two days, I will visit two schools in Wales to observe what changes have been made as a result of P4C training. It’s thrilling stuff. I arrived mid afternoon at a place I’ve never been before to meet a person I’ve never spoken to before. Dr Sue Lyle, Director of Dialogue Exchange (www.dialogueexchange.com) proposed a walk to blow off the cobwebs. And blown we were by icy Atlantic winds as we trekked ‘in the dying light‘ across the dramatic landscape of the Gower peninsula near Swansea in South Wales. 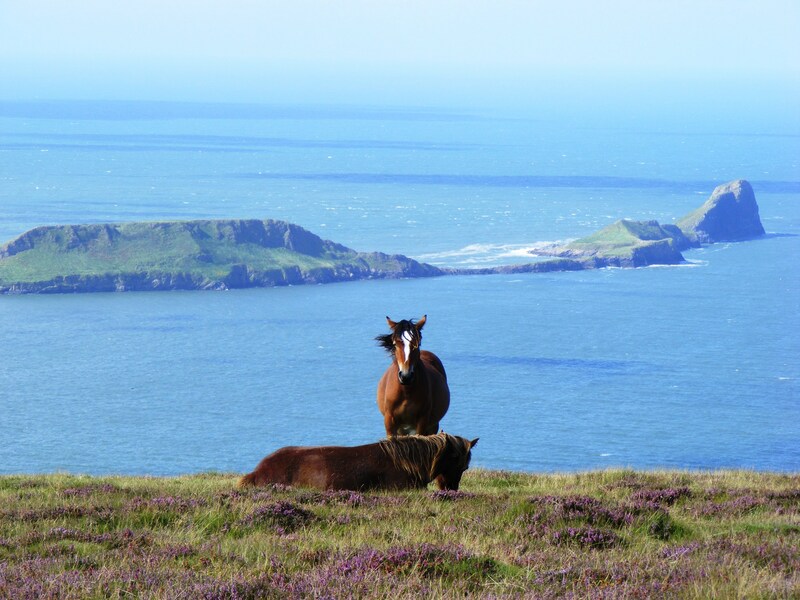 Here in this ancient land where fact merges with fiction, we followed the paths of moles and badgers, fairies and ghosts, wild ponies and wild poets, and got to know each other. Sue is a teacher trainer, a prolific writer and a passionate promoter of Philosophy for Children (P4C) and has so generously programmed my next three days. The current focus of Sue’s research is how children make meaning through talk and particularly the role of collaborative learning and P4C on young children’s learning. Home now and after homemade soup and fresh baked bread I climbed into bed with a pile of reading material. Tomorrow is a talk day. Three weekends left, all appointments reconfirmed and now time for further research. I’m uncovering some great blog gems. Things that are important by Suzanne Axellson. A mission for preschoolers using cameras to decide what’s important. Schemas in Children’s Play by Clare Caro. Taking the time to understand schemas so you can facilitate them when you see them. The Adult Role in Child-led Play – How to become a Learning Ally by Clare Caro. Storypark – What does it take to achieve an ‘Excellent’ NQS rating? by Narelle Dawson, Director/Teacher at Bribie Island Community Kindergarten.